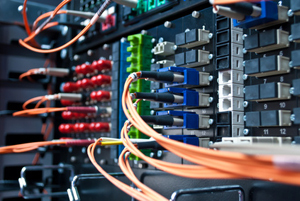 Hyper Media has been providing mission-critical connectivity solutions since 1995. We can provide your business or group of locations enterprise grade solutions. Among some of the services we provide, include: T1 Lines, T3/DS3 Circuits, Metro Ethernet, MPLS/VPN Solutions, VPN Solutions, Colocation/Dedicated Hosting, and Wireless connectivity. We also provide VoIP and Hosted PBX solutions. AboveNet, Accel Networks, Access Point, Inc., AccuConference, Advantix, Airband Communications / UNSi, AireSpring, Alpheus, AT&T, AT&T Wireless, Bandwave Systems, Birch Communications, Broad Sky Networks, Broadsmart, Broadview Networks, Bullseye Telecom, Cbeyond, Cellular Optimization, Centurylink, Charter Business, Clear, Coast2Coast, Cogent, Comcast Business, Covad, DataPoint, Deltacom DOI – Department of Internet, Dukenet, Edgewater Networks, Embarq, FatPipe, Global Crossing, GlobalCom, GTT, InContact, Integra Telecom, InterCall, InterNap, Invoice Insight, Level3 Communications, Lightpath, Masergy, McGraw Communications, Megapath, MetTel Telecommunications, Mosiac Networks, Navisite, Netwolves, New Cloud Networks, New Edge Networks, Nitel, NTT Communications, Nuvox Communications, One Communications, Opex Communications, Optimum, Paetec, Polycom, Powernet Global, Qwest, Raindance, RealLinx, Savvis, Speakeasy, Sprint, Sprint-Nextel, StartMeeting, STS Telecom, Suddenlink, Telepacific Telecommunications, Telnes Broadband, TELX, Time Warner Cable, T-Mobile, TW Telecom, USA Digital, Veracity, Verio, Verizon, Verizon Wireless, ViewTrust, Vocal IP Networx, West IP Communications, Windstream Communications, XO Communications, ZAYO AND MORE! We can provide you with premier colocation services or dedicated servers. Our 15,000 Sq. Ft colocation center offers the best local value possible. Please click here to learn more about our colocation services.